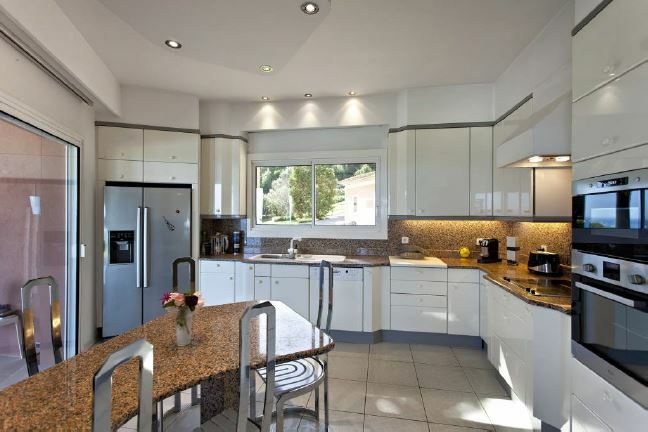 This beautiful Florentine villa offers a stunning view of the sea and is in close proximity to the centre of Cannes. The property features an infinity swimming pool and a south-facing terrace to enjoy the Mediterranean sunshine. The villa comprises of 5 gorgeous bedrooms with 5 bathrooms, spacious interiors and a dining room veranda. All rooms are designed and decorated to an immaculate standard with high-quality furnishings. Guests can enjoy a fully equipped kitchen with a breakfast bar.